Tune in and get your eyes off yourself, or the pressing needs of ministry, and ask honest questions to see if you really know what your pastor and his wife are dealing with personally. (Kudos and bonus points if you reach out to all the staff of your church or the parachurch ministries that have blessed you and your family). A common struggle of clergy couples are economic distress or pressure. People don’t go into ministry to make the big bucks! Clergy couples also struggle with creating uninterrupted time together. For example, one year between Dec 24 and New Year’s Day, ten people in our church died. Hospital visitations, meetings with families to plan and carry out funerals took Bill away from the family during a time that had been planned as a relaxed family vacation. We went into ministry to help ease the pain of people and walk with them through life’s ups and downs, so our family took this unfortunate series of interruptions in stride, but it was a stressful time. Some thoughtful couples in our church noticed this; in the following weeks we got several “date night” gift cards in the mail and one couple gave us a day away at an amusement park - with our kids too! Keep in mind that a pastor might be dealing with the same stressors as anyone else: a strong willed or special needs child, a prodigal teen, health issues, or drama like a mid-life crisis. Be one of the people that surrounds the shepherd of your flock and offer a listening ear and tangible help. Another common stress is keeping a positive attitude in the middle of handling negative situations. It is hard for the pastor to not bring the heaviness of work home to his wife and kids. Your empathy and words of kindness and affirmation will go a long way in helping easy this burden. Give funding to the pastor(s) to for the kinds of things that keep a marriage healthy. Send gift cards for dates, pay for a weekend away in a nice hotel, or loan out your cabin or lake house. Give a week at a time share to the pastor and his family. On Bill’s 10 year anniversary in the senior pastorate and our 15th wedding anniversary, our church board and deacons sent a letter to the congregation and gathered funds to send us to Hawaii for 7 days! This didn’t happen every year, but grand gestures like this have happened a few times in our 35 years of ministry—just enough to keep up refueled, revived and reenergized. Often Christian conference centers offer free housing to clergy couples, so even a small church can raise money for the gas and a few meals and partner with the local Christian Camp to give your clergy couple some time alone together. In the church budget should also be funds for an annual marriage conference for the clergy couples to attend. 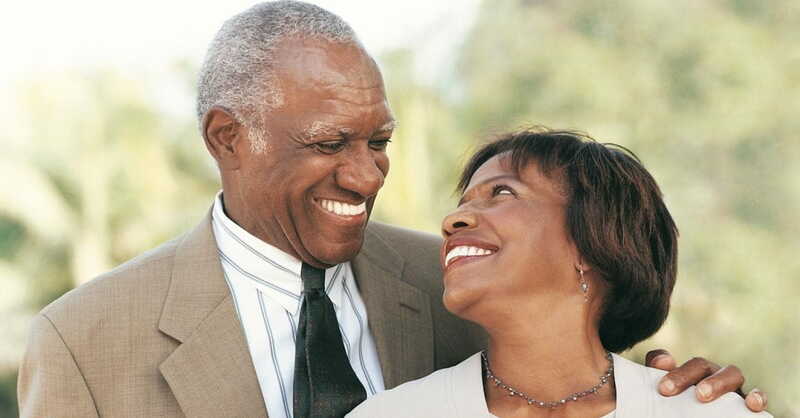 Because of the constant stress and unique demands on a clergy couple, their interpersonal relationship skills need to be even stronger than the average couple, and they will need many tools in their relationship building toolbox to keep their marriage strong and vibrant. Also, if there are clergy denominational meetings or conferences, add in a little extra to sponsor the spouse to attend too. Ministry minded marriages that have peers and mentors who they can be authentic with will have people to turn to in times of stress or crisis and this will strengthen the ministry marriage. If you have a strong marriage, offer to help head up the marriage ministry at your church, or at least part of it. For example, offer to run a small group for married couples, chair a marriage retreat committee, be the point person for a couples, date night, or write a blog on marriage for the church website or weekly bulletin. If your marriage has survived and overcome a particular challenge, offer to the pastor to meet with other couples who might come to him for the same issue. If your pastor has young children, volunteer to babysit (or arrange the childcare) so they can have a weekly date night. Also offer to be part of a prayer team for the clergy couple (or ministry team) of your church. And if you sense the clergy couple is in marital discord, or the pastor or his wife are making choices that will erode their love or future, volunteer before God that you will be brave enough to make a personal private appointment to talk with them before their marriage or ministry unravels. You could also offer to pay for counseling, or the cost of getting them to a ministry minded intensive (The Smally Institute and Focus on the Family have a list of recommended professionals that specialize in helping clergy couples and ministry minded marriages). Galatians 6:6 says, “One who is taught the word must share all good things with the one who teaches.” L.U.V. those in leadership by listening (then taking action), underwriting their growth as a couple, and volunteering to lighten their load! Pam and Bill Farrel are international speakers, relationship specialists, and authors of 40 books, They have also served as youth pastors, Bill as lead pastor for 15 years (Pam as the Dir. of Women’s ministry), then Bill served as Small Group Pastor for Dr. David Jeremiah for four years, and now the Farrels are focused on helping individuals and couples become Love-Wise.